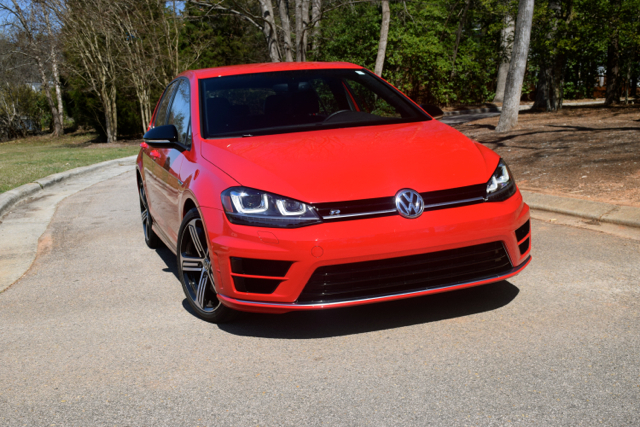 VW Golf R fun, part two. There are certain cars that pass through the Auto Trends test fleet which are memorable. 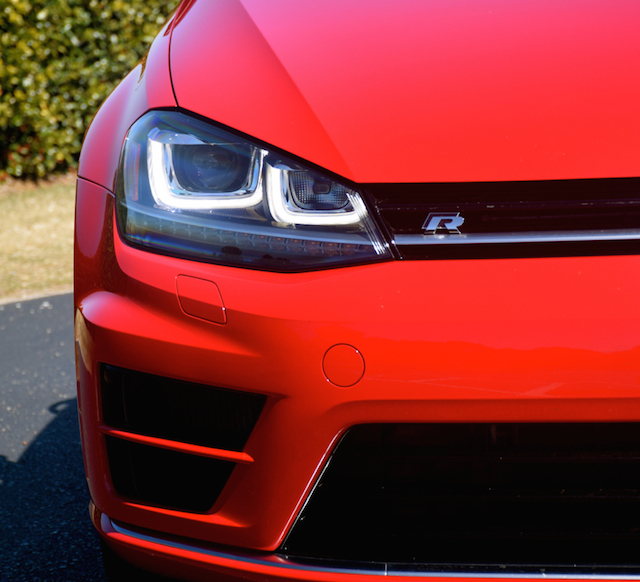 The Volkswagen Golf R is one of them. Compact, bold, and fast are just a few of the descriptors to append to this model. Affordable? Not unless you have $36,500 to plunk down for one. Fun to drive? Absolutely! And here you are given a pair of transmission choices: a dual-clutch automatic or a six-speed manual gearbox. My first venture with the Golf R took place in November 2016. Five months later, another R rolled in. 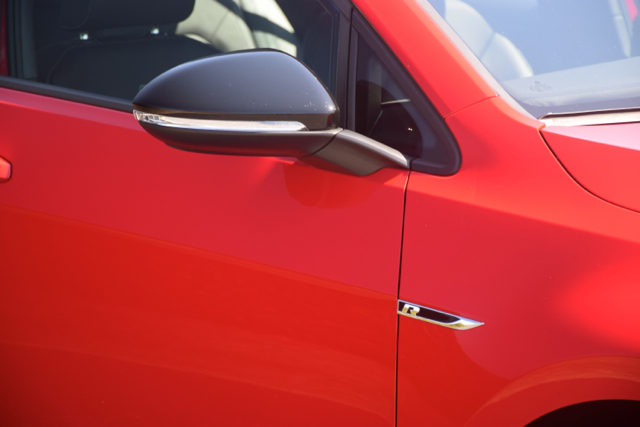 The 2016 had the dual-clutch transmission, while the most recent version was outfitted with a manual. Different driving experiences offered, at least when it comes to shifting control, but both were very enjoyable. One thing I must get out of the way — I prefer to “row my own” when it comes to driving. No, not with some cheap manual transmission, but with a gearbox designed to encourage quick shifts. Is this a perfect arrangement? No. 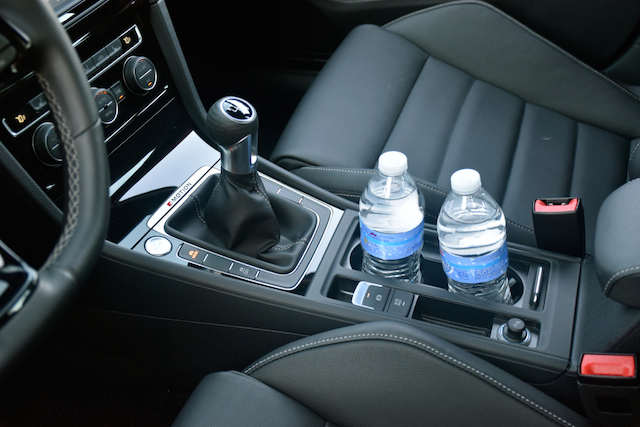 You may experience a slight hesitation in clutch uptake when moving out of first gear. Other than that you’ll enjoy your expected heel-and-toe upshifts and downshifts. 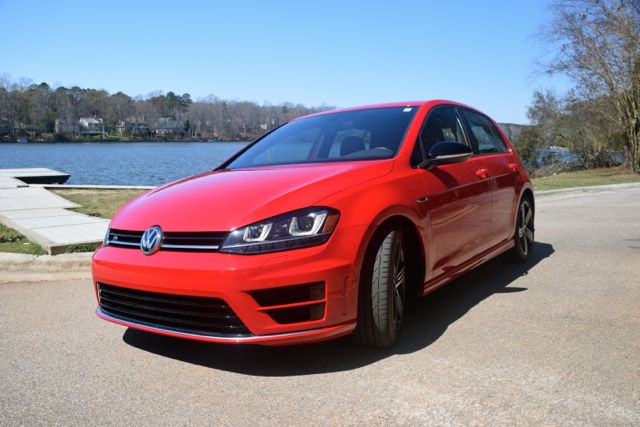 My most recent Golf R experience served as the bookend for my lone Ford Focus RS drive. Like the Golf R, the Focus RS is a compact, all-wheel drive hatchback. The Ford is faster and is also dressed for the part with a gaping front fascia, body skirting, and a huge wing to show for it. On the other hand, Volkswagen chose a more subtle look for the Golf R, allowing it to approach vehicles from behind in near-stealth mode. 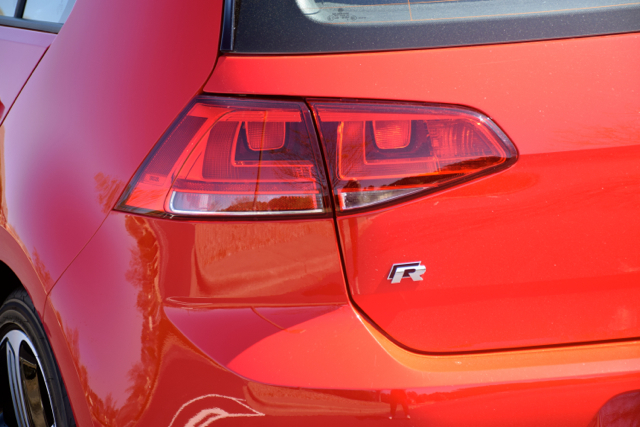 That doesn’t mean the Golf R lacks embellishments — far from it! You’ll find a sporty body kit, 19-inch Cadiz alloy wheels, and dual chrome exhaust tailpipes along with conspicuous “R” badging. Not exactly restrained, but not overpowering either. Special interior detailing places the exclamation point on cabin style, bringing in such goodies as stainless steel front sill strips with blue illumination, brushed aluminum pedals — including a foot rest pedal, a thick leather-wrapped steering wheel, and leather-appointed sport seats. Again, not overwhelming, but definitely underscoring that this is not your usual Golf. Although decor has its place in the Golf R, it is this hot hatchback’s performance characteristics which clearly define it. It starts with what is under the hood — a 2.0-liter, turbocharged, direct-injected four-cylinder engine with 292 horsepower and 280 pound-feet of torque. You then have a choice of a six-speed manual gearbox or a six-speed dual-clutch transmission. Before you turn your nose up at the automatic, it is a worthy option for anyone who can’t use a manual transmission — the paddle shifters offer optimum control. 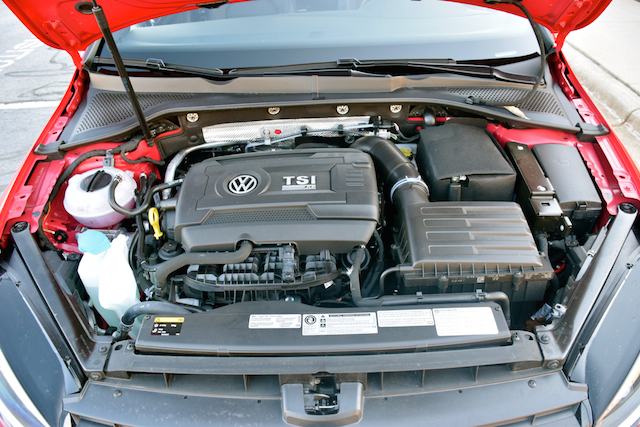 Although the powertrain is a very important aspect of the Golf R, this vehicle is what it is largely due to its all-wheel drive system. The automaker calls it 4MOTION and you will be forgiven if you say “quattro” as in the fantastic all-wheel drive system found in most Audi models. Both 4Motion and Quattro use a Haldex system, at least in smaller Audi cars. 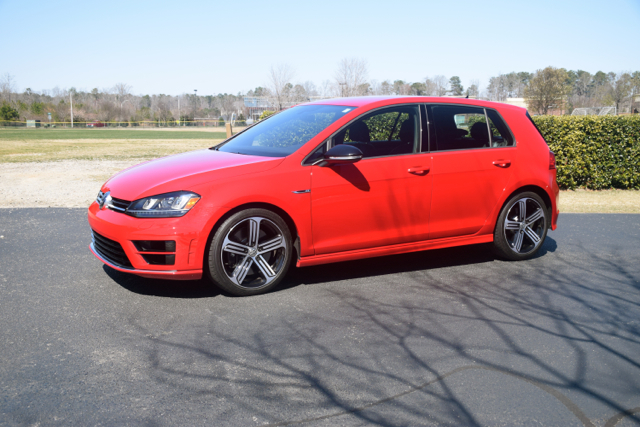 The Golf R’s all-wheel drive kicks in when needed with an electronic locking rear differential tasked with sending up to 50 percent of the power to the rear wheels. You’ll notice it at work when tackling tight corners or whenever roads are wet. Indeed, when the system detects a wheel is slipping, power is rerouted to a wheel with grip, ensuring the Golf R stays planted at all times. 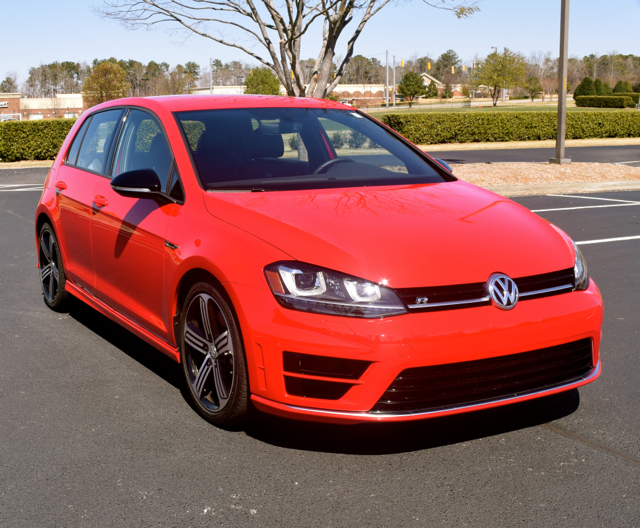 One of the beauties of the Golf R is that it can serve as your daily driver. On the driving model selector found on the center console screen, you have a choice of three modes: normal, race, and individual. Choose the first mode for your everyday driving. Select the second when you intend to push this hot hatch to its limits. The third mode is ideal for simply customizing the settings to your heart’s desire. All three impact steering, engine, and transmission performance. Of course, race mode is where you’ll want to be whenever you get the chance. That’s my mode of choice when I take to my favorite back roads — typically twisty roads far from major population centers. 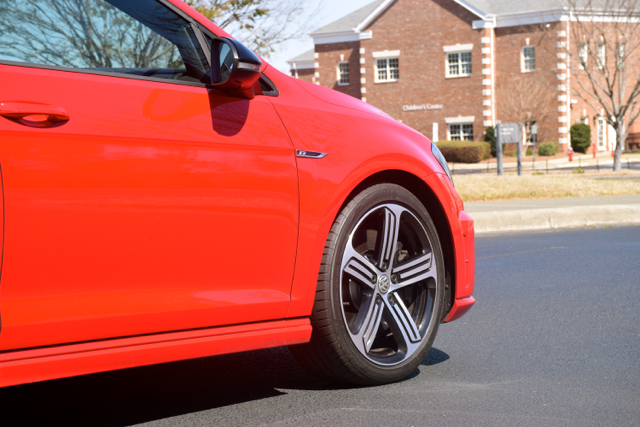 Shifting with the VW Golf R comes naturally and effortlessly. Some drivers have noted an ever so slight hesitation in shifting between the first and second gears, but that wasn’t my experience. Generally, you’ll experience smooth clutch uptake and you’ll want to stay in gear while revs climb, before moving up a notch. If you’re not sure when to shift, the instrument panel guides you, displaying a 3—>4 or other instruction as you build speed. You’ll notice the guidance is offered chiefly for maximizing efficiency as in when the display shows 4—>6, encouraging you to skip fifth gear completely. In doing so, you’ll exchange an important power edge for fuel efficiency. Steering is light to the touch, but connected and fun to mess around with. 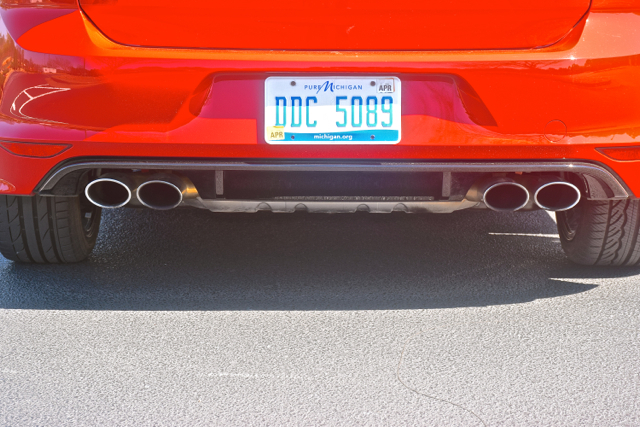 You’ll get enough feedback to feel a connection to the car, even though it isn’t especially weighty. The fun factor is maximized when entering a twisty loop, then easing off the gas pedal, while avoiding braking at all costs. Once you get a hang of the road, you’ll mash the gas pedal and push your way out of the loop, keeping the hatchback centered at all times. Kudos to Volkswagen for supplying sport seats, which are comfortable, bolstered, but far from tiring. 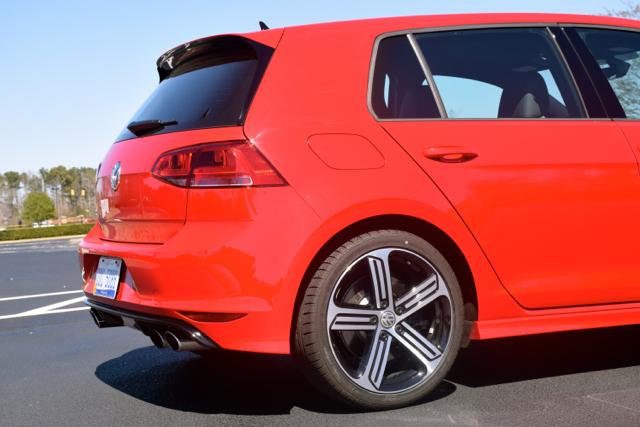 Where some cars offer seats with the tightest bolstering possible — creating back pain with it — the Golf R finds a better place. 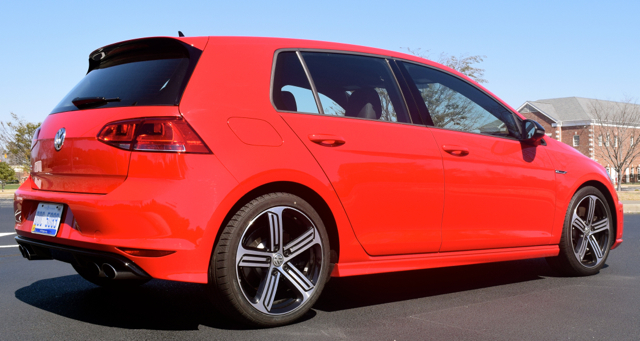 For this reason alone, the Golf R can also serve as your daily driver. 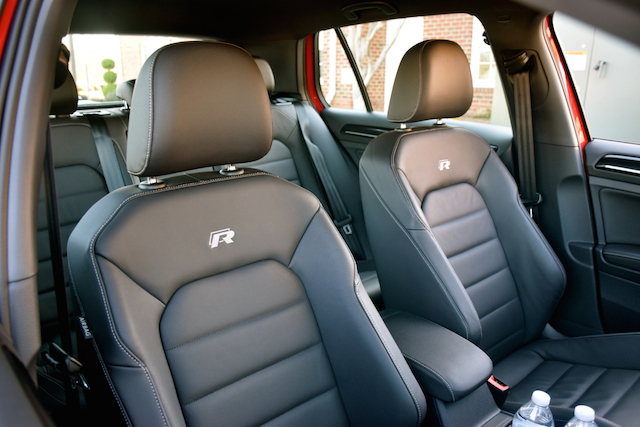 As for overall seating room, the Golf R provides space for five, but is more useful for four. Even then, this is the type of car you’ll buy for yourself with a spouse, close friend or other interested individual riding shotgun. 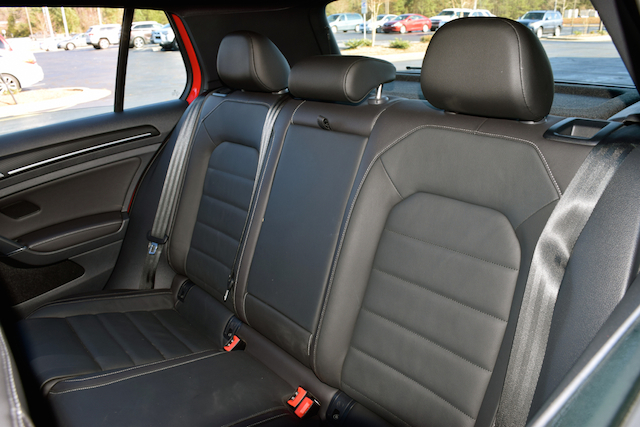 The Golf R serves as an ideal weekend getaway for two with 22.8 cubic feet of storage space behind the second-row seat. If you’re on the hunt for garage sale finds or if your trip has you away longer than a weekend, you have 52.7 cubic feet of storage space with the rear seat folded down. But make sure everything is securely in place before you stomp on the pedal. Investing in a 2017 Golf R means plunking down $35,655 for the manual or $36,755 for the automatic plus $820 for the destination charge. If you prefer a model equipped with the dynamic chassis control (DCC) and navigation, you’ll pay from $39,375 for the manual and $40,475 for the automatic. The latter also brings in several driver assist features, including lane departure warning, front and rear park distance control, and high beam control. Not to mention a nifty Fender audio system! If you choose the DCC option you’ll gain adaptive chassis control composed of an electrically adjustable damping system and an electromechanical power steering system, offering even more precise tuning of the hatchback over the standard system. Is it worth the near $4,000 extra to obtain the top-shelf system? 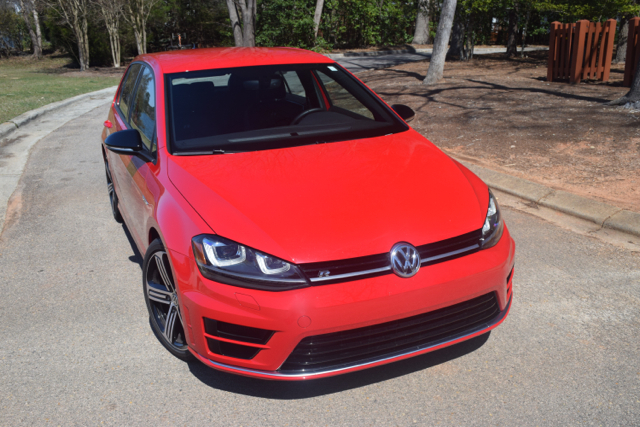 For some it could be, while others may be entirely satisfied with the standard 2017 Volkswagen Golf R and its amazing fun-to-drive characteristics — 0-60 mph in less than five seconds, anyone? Volkswagen Golf R photos copyright Auto Trends Magazine. All rights reserved.